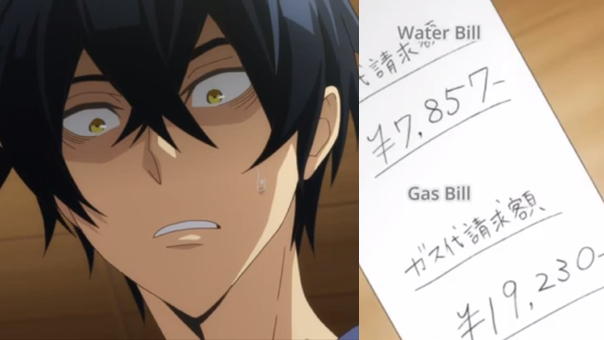 Tatsumi’s gas bill is way high and he works such a low paying job he fears he wont be able to keep up with it. Worse, Wakasa is very wasteful with hot water, having no real concept of it’s cost. However, Wakasa is completely aware of it’s value, having lived in the river during winter for many years. He hates the struggle of it and, even though he’s terrible at helping out, he does go along with Tatsumi’s attempts to make a compromise. First they try filling the tub with water bottles to reduce the amount of water used, but this looks and feels like living in a trash filled river. Then they try to put an insulated cover over top of the bathtub, which also works, but isn’t practical to move around under without making more of a mess. In the end, Tatsumi remits and says he’ll work longer hours to sustain the both of them. Still, I can’t help but watch. It remains charming, harmless, and under five minutes. The perfect length for my Monday lunch!